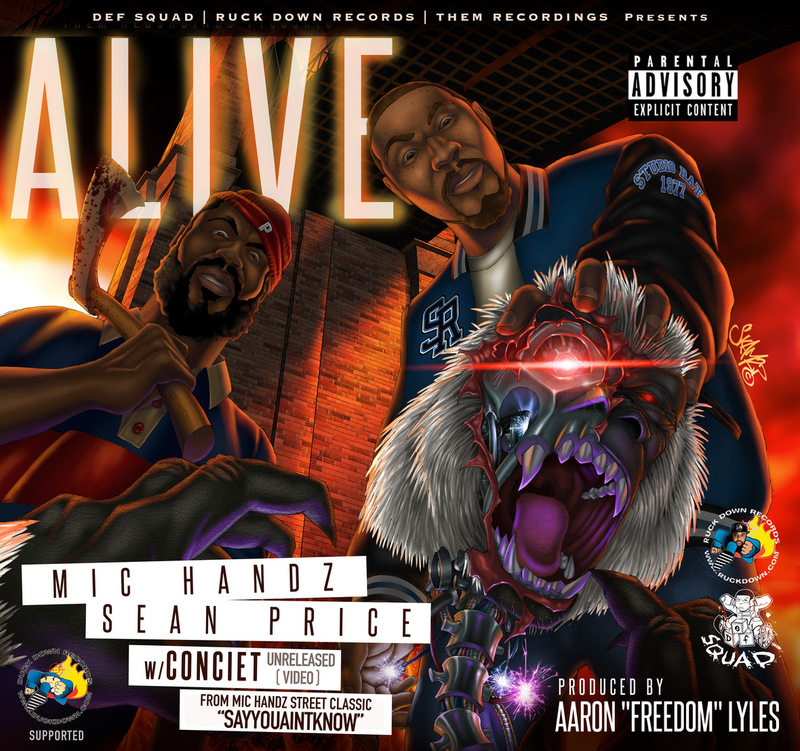 He may no longer be with us but we still keep getting blessed with unheard verses from the late great Sean Price, as we do again here with this two track release alongside Mic Handz out today. Back In 2012, Brooklyn emcees Mic Handz and Sean Price discussed creating an epic project titled “The EP: The Epic Phail.” One Day out of the blue, Sean called Mic and said “Come get me, I feel Rappy.” Once at the Carnegie Deli Studio in NYC, Mic played Sean the instrumental for what would become their initial collaboration, “Stay Givin It up”. After Sean laid his verse, he told Mic “Dont rap…you can lay yours later, play another beat” and he proceeded to lay his bars for “Conceit” & “Alive”. Some time had past since Sean and Mic had recorded and the fate of Epic Phail was still unknown. Mic finally received a text from Sean ” Im not ignoring you, I just have a few things going on…just send the beats”. That last communication took place August 6th 2015. Sean went on to pass away on August 8th. Def Squad acknowledges the absolute fact that Sean Price is one of the greatest MCs to ever touch a microphone. He truly blessed the Hip Hop culture with his talent and his character. It is Def Squad honor to release unreleased footage of Sean Price with the blessing of his wife Bernadette and featuring a multi faceted and extremely talented Mic Handz.